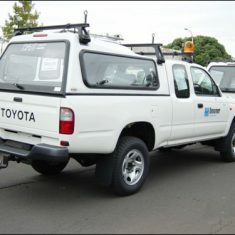 VCM offers a variety of roof rack options to suit everyone. 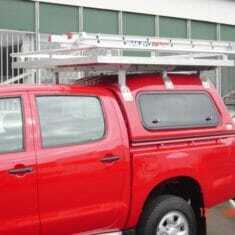 We design and build roof racks and ladder racks to fit most popular models of van, ute and car. 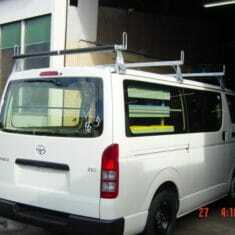 Most of our roof rack work is on commercial vehicles (utes and vans). 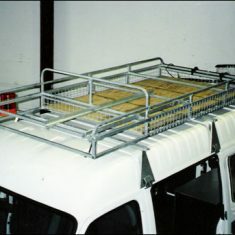 Our value for money VCM roof racks come in a variety of shapes and sizes depending on your requirements – or we can custom design one especially to meet your unique work needs. 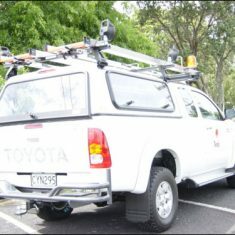 Designed especially for commercial utes, our aluminium, powder-coated cross bar roof racks are designed for New Zealand weather conditions. That means they are UV stable and will last for years. 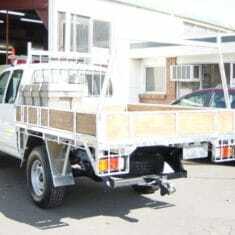 We know you need to be able to swing your ladder on and off the roof of your ute or van with the minimum of effort. That’s why we treat every vehicle as unique and ensure that the ladder rack design enables easy use, doesn’t obstruct rear doors or lights, and is safe and secure. Our custom-built ladder racks are hot-dip galvanised meaning they look good and are extremely durable. At VCM, we’ve seen it all. 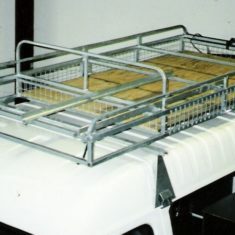 Whatever you want to carry on your roof, we can design a roof rack to suit. We specialise in the unique. 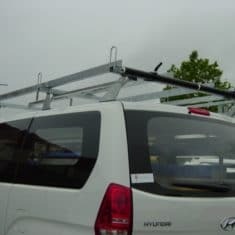 That includes bull bar ladder racks, H-bar or goal post racks, and racks to carry specialised or odd-shaped tools and equipment. We build glass frails for glaziers, and repair them. If you need a special glass rack or similar for your business, we can design one to suit you. Click here to contact VCM.